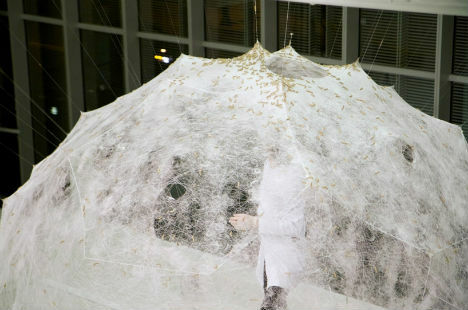 Growing and transforming like a living organism, the Silk Pavilion created by the MIT Media Lab is a collaboration between digital and biological fabrication. 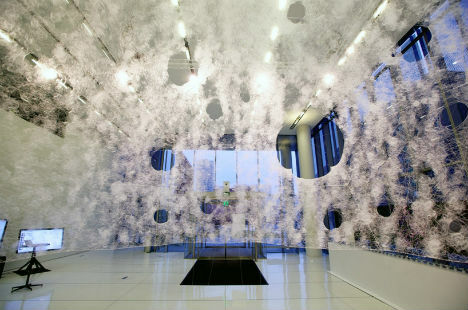 The basis of the pavilion is a network of silk threads made by a CNC machine, which has become a cloud-like structure with the addition of natural netting from the dozens of silk worms that squirm all over its surfaces. 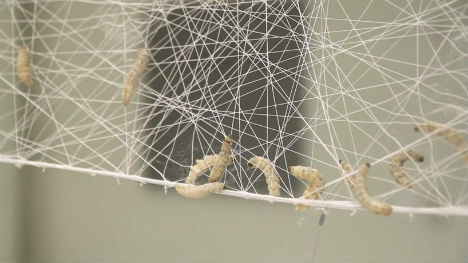 Twenty-six polygonal panels with silk thread stretched between them form a sort of scaffolding that enables the silk worms to work their magic of naturally produced architecture. The geometry of the base structure was created using an algorithm that routes a single continuous thread across the open sections to provide varying degrees of density. 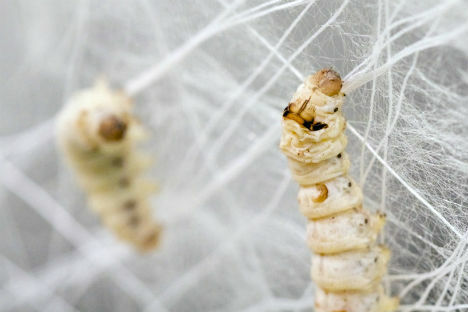 The silkworms were deployed as a biological ‘printer’ to create the secondary structure. 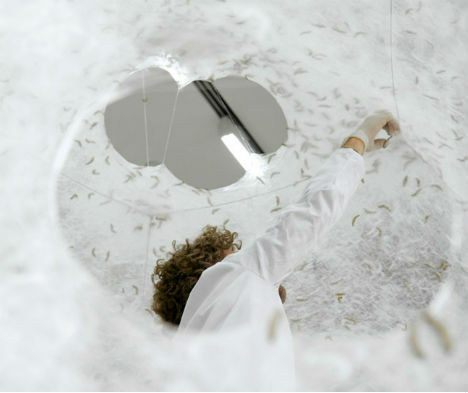 If the sculpture, which is installed at MIT, were allowed to remain in place indefinitely, the moths could produce 1.5 million eggs with the potential of constructing up to 250 additional pavilions.